SoftPlanet makes it possible for everyone to get free CCleaner Portable download directly from our servers. There is no registration needed for downloading. Are you the technical support for all your friends and family? You do a great job every time, right? However, do you have the right utilities for the job in your briefcase? Here is one, which you should definitely add to your toolkit. 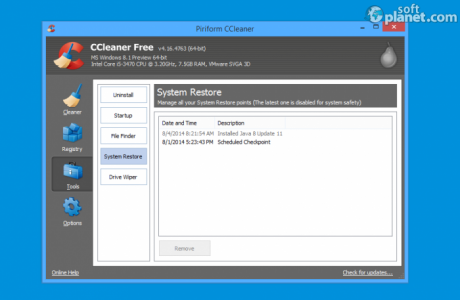 CCleaner Portable is a special version of the popular free PC cleaner, which you can install on your USB thumb drive and use it on any PC you want without leaving any traces behind, exactly what you need for fixing Windows registry issues and even more. 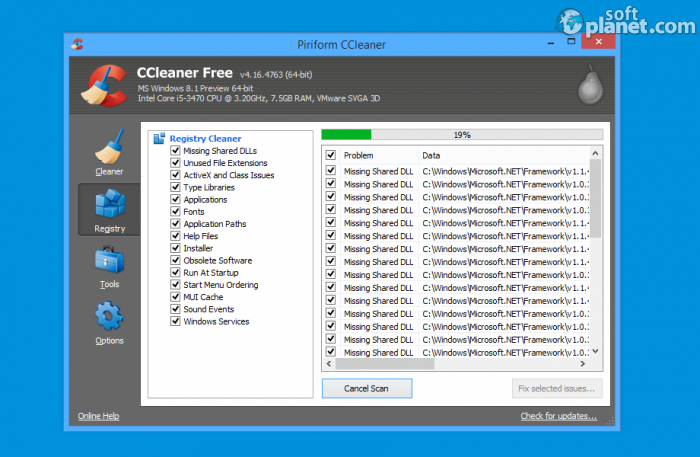 Download the standard version of CCleaner here. Our security scan shows that CCleaner Portable is clean from viruses. 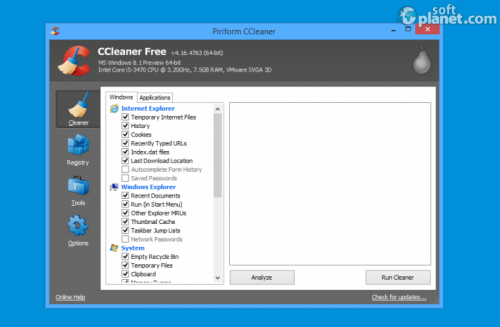 The current version of CCleaner Portable has been scanned by our system, which contains 46 different anti-virus algorithms. That ensures that CCleaner Portable 5.0.3.5128 is 100% safe for your computer.